Mike’s Advice. 333 perplexing hands to bid. Each problem comes with a choice of bids with explanations for why each bid is good or bad and why. This product is for players who frequently find themselves wondering what the right bid was on some hand that did not fit into most bidding schemes. There is nothing like this CD anywhere. The ACBL Bulletin editor, Brent Manley, loves it. 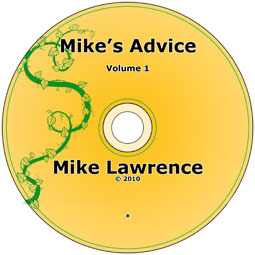 Mike’s Advice runs on PC and MAC. Something for everyone.